The season consists of 6 lead up meets at various venues and culminates in the annual Championships event. Runners from Years 5-12 compete in Age groups/ divisions for the Senior competition (13 Years & Under to Open) and Junior GPS (10 Years & Under to 12 Years & Under) over distances from 2km – 6km. 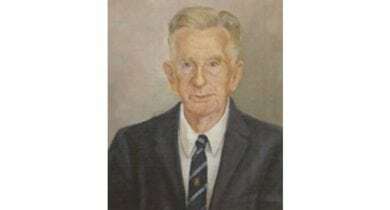 The first GPS Cross-Country Championships were held in 1971 at the University of Queensland. Limestone Park in Ipswich now plays host to this event and GPS runners have enjoyed the challenges of this course for more than 20 years. Original Scoring System – 1st -15 pts, 2nd 11pts, 3rd 8 pts, 4th 6 pts, 5th 5 pts, 6th 4 pts, 7th 3 pts, 8th 2 pts, 9th 1 pt. 1977 New Scoring System introduced– 1st -10 pts, 2nd 8pts, 3rd 7 pts, 4th 6 pts, 5th 5 pts, 6th 4 pts, 7th 3 pts, 8th 2 pts, 9th 1 pt. “I can remember that first hill at Lime Stone Park, Ipswich, like it was yesterday. Limestone Park was OUR stadium. That tunnel of war cries up the steep hill. Cross Country was that raw sport where you’d go to do what kids do best… have the freedom to run. 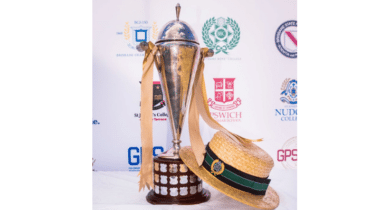 View the rich history of GPS Cross Country Champions in the Trophy Room. 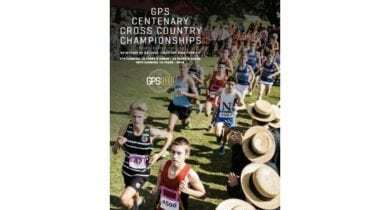 The GPS Centenary Cross Country Championships Official Program contains competitor start lists, history of GPS Cross Country team and individual results, archive images and inspiring quotes from GPS cross country competitors past and present.